Bioenno Power 12V/24V/36V/48V, 30A Solar Charge Controller (Model SC-4830JUD) is a versatile controller for use in solar systems with an integrated LCD display, that is designed to charge LiFePO4 (Lithium Iron Phosphate) batteries (and AGM/SLA batteries)! This solar controller accepts either 12V/24V/36V/48V input from solar panels and can handle up to 30 Amps. Featuring our proprietary CC/CV (Constant Current/Constant Voltage) circuitry, the solar controller provides a regulated voltage output for charging 12V or 24V or 36V or 48V LiFePO4 (and AGM/SLA batteries). 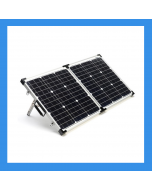 The solar controller also provides a regulated 12V or 24V or 36V or 48V output for electrical loads (depending on whether a 12V or 24V or 36V or 48V battery is used). 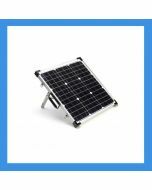 Solar controllers are required for all solar systems in order to maintain a regulated output voltage to charge batteries and for maintaining a regulating output voltage for loads.